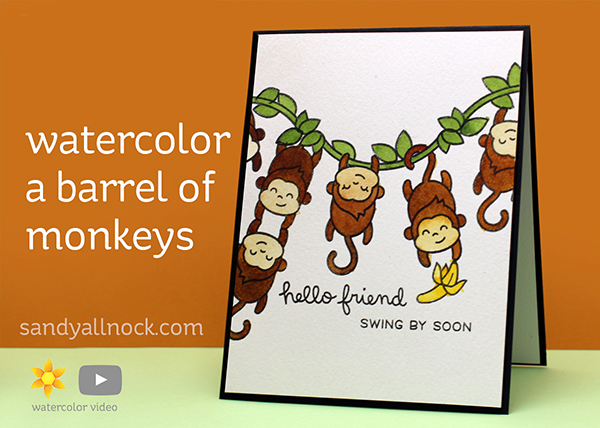 Have you ever played with those monkeys that come in a plastic barrel? They’re red, blue, and yellow, maybe more colors nowadays….but they were a favorite when I was a kid. I’d make all kinds of long strings out of connected monkeys! This set could do something similar…or they can hang on a vine! Watch the video below or click HERE to see it in HD on YouTube. 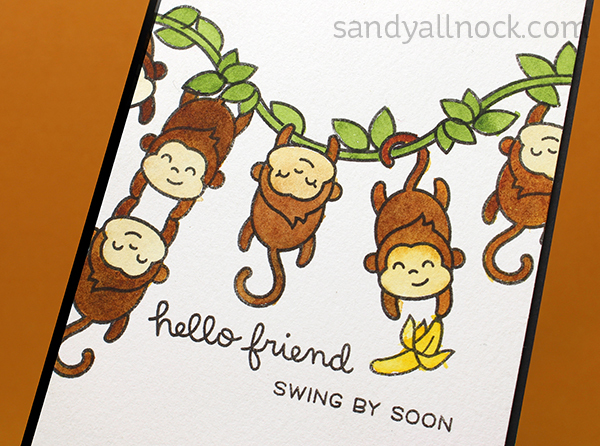 What a fun card Sandy. So I got it finished off Sandy. This was my vision of a barrel of monkeys!